It’s always amazing to see how God comes into a person’s life and turns the impossible into a very real and awesome blessing! 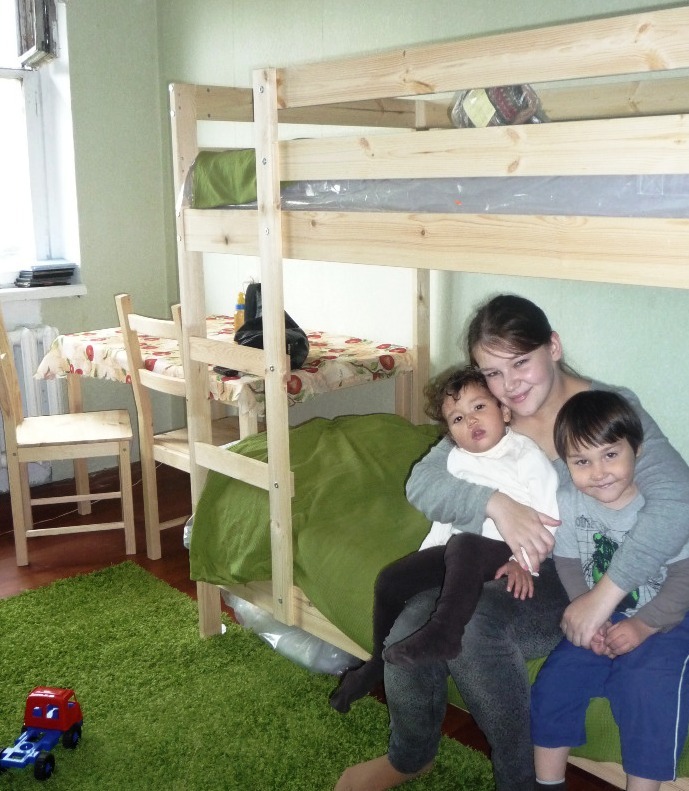 When Lisa came to the Grace Center in St. Petersburg, Russia, she was desperate. One of her children was already in an orphanage. She was expecting a second child, who would be taken to that same orphanage. She had no place to go, nothing to eat, and no way to care for her soon-to-be-born child. The Grace Center beams God’s grace into lives like Lisa’s. And, God’s grace flows through those who are obedient to His call. Give and you will receive! About the same time Lisa came to Grace Center for help, Big Family received a generous gift in memory of Jesse, a long-time supporter of Big Family. The donors were happy to hear that their gift could be used to give Lisa and her family a new start. While Lisa was living at Grace Center, another miracle occurred: authorities allowed her son to be released from the orphanage and come live with Lisa and his baby sister. Then, everyone prayed for another miracle: that the totally wrecked apartment could be restored and Lisa would be able to move her family there. Again, Grace Center did not have the funds for such an expensive project. Lisa now studies and works part-time. Grace Center will continue to help her in 2013. Natasha reports that Lisa is inspired to know that other people care for her and she is not alone. Through God’s grace, Lisa has accepted Jesus Christ as her savior, and she will never be alone again! Thank you Jesse and Leo for your faithful support! Your heritage lives on! Did you know that you partner with the Grace Center and Help for Children orphan ministry with a contribution of as little as $5 per month? Your contribution of just $5 or $10 each month encourages us... and you will reap the blessing of helping God's special children in Russia! Click here to get started today!